Jacob Hart is a research assistant with the NATO Parliamentary Assembly. He received his MA in European and Eurasian Studies at GW’s Elliott School of International Affairs and his BA from the University of Kentucky. Before joining NATO PA, he spent a year in the Senate as a Legislative Correspondent and completed internships on Capitol Hill as well as with the Center for European Policy Analysis. Currently, I am serving as a research assistant with the NATO Parliamentary Assembly in Brussels. My main responsibility is assisting the committee directors in research, writing, and editing for reports for our annual plenary session, this year in Halifax, Canada. Beyond working on the reports for the annual session I have been able to compose committee resolutions, and speeches for different parliamentarians from across the Alliance as well as drafting memos on research for future reports. Outside of work for the annual session, I create background documents for the committee and presidential visits. The Elliott School Graduate Student Services (GSS) office was instrumental in my receiving this opportunity. My capstone for the EES program was crucial in developing the writing abilities that I use every day in working on reports to drafting memos. Additionally, I would not have received this opportunity without the Elliott School’s Career Center. Tara Sonenshine has become a mentor to me. She first told me about the Research Assistant Program as well as connected me with a fellow Elliott School Alum, who helped me to prepare for the interview and program. The NATO PA has far exceeded my expectations for what I would be doing following graduation. 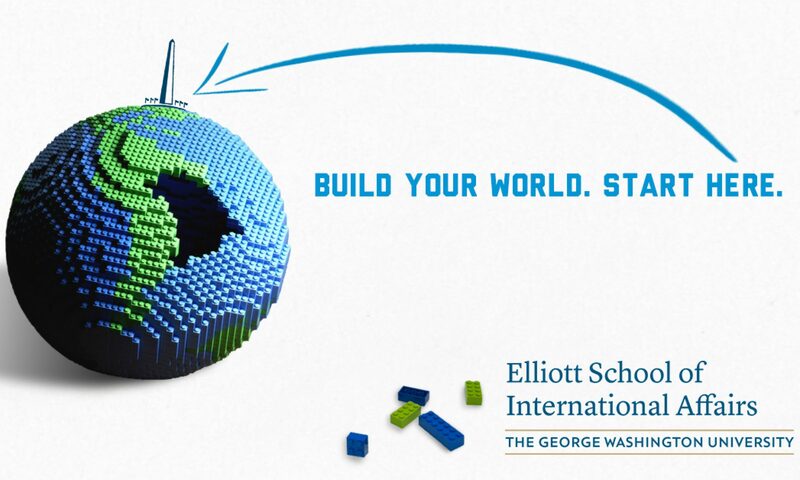 Before coming to The Elliott School I had a very narrow view of international affairs career opportunity, however, learning about the diverse world of prospects within the international affairs world has really opened me up to everything from think tanks to the Hill and even my current posting with a Multinational Organization in Brussels. Personally, I’m a big fan of pineapple on pizza. We used to eat it a lot growing up, so it is quite normal for me. It wasn’t until later in life that I learned some people found this to be a bizarre pizza topping.